Looking for house painters in the Sydney area? Serving across the eastern suburbs from Darling Point to the lower North Shore and beyond, Diamond Painting has been providing high quality residential house painting services to local clients for over 25 years. Our team of qualified tradesman are highly experienced in all aspects of the painting and decorating industry. Your home is your most valuable asset so it is important that the interior design is completed to the highest standard, using the best materials and craftsmen available. We guarantee this satisfaction and here we have commitment to quality. We understand the apprehension when trades are working on your home and want you to feel secure and safe with as little disturbance as possible. With our team of trusted house painters, your home will be cared for with respect. Each project is carefully managed and supervised, to ensure works are completed exactly as specified, on time and within budget. Not only will your interior or exterior painting and decorating be completed to the highest quality standards, you will receive first-class service from your initial enquiry right through to job completion. We pride ourselves in delivering the very best service every time. We are fully insured with public liability and home warranty insurance, plus all staff hold OH&S green cards and will be briefed on safe work methods before commencement of work. With our attention to detail we provide a satisfaction guarantee that you will be happy with our painting services for years to come. If you are searching for exterior or interior house painters in Sydney, we’re your company of choice. Located in Randwick, we’re ideally situated to serve south eastern suburbs such as Darling Point. We are also more than happy to travel further afield and regularly visit areas from the lower North Shore, all the way down to Sutherland Shire. Don’t Do it Yourself. Hire Professional Painting Contractors! House painting is something that we excel in. Choosing to go with a professional company for your interior and exterior painting is a decision that our clients never regret. Though you may believe that you can do this type of work on your own, many people find that it’s not as easy as it looks. They also find that to do it themselves takes a considerable amount of time and it never has the quality finish that professional residential painters can achieve. Professionals will be able to expertly change the look of your home with a variety of applications and services, and do so in the time that you need it done. Whether you are preparing your home for sale, renovating or just want a fresh look, you should consider Diamond – the painting contractors Sydney has trusted for over a quarter of a century. While we are specialist residential painters, we’re also well equipped to carry out a wide range of commercial work. From offices to retail stores and privately run cafés, our commercial painters can help revamp your workplace, ensuring it appears professional and well-maintained. As exterior and interior house painters, we will be able to offer services in addition to simply freshening up your walls or the exterior of your home. We offer exceptional interior design services, restorations, varnishes, wallpaper, special effects and services like textured coatings. You certainly will not find all of these services elsewhere for the same value and expertise. Looking for exterior or interior house painters that serve Darling Point, Burraneer Bay, Queens Park and surrounds? For an exception service that spans the lower North Shore to the Sutherland Shire, contact our team today on 1800 632 338. Diamond Painting is committed to minimizing environmental impact on all our projects in order to protect the environment, minimizing inconvenience to our clients. To assist those who may be sensitive to paint fumes, like the chemically sensitive, asthma sufferers, pregnant women, children and environmentalists we recommend low voc Dulux paints such as Dulux Professional Enviro2. Diamond Painting is a Member of the Master Painters Association (NSW). In recognition of superior quality and service. We are a proud member of The Master Painters Association NSW.The painting industry association that seeks to advance, encourage and recognise the highest standards of trade craftsmanship and ethical business practice. As Dulux Accredited our Painters are specially selected by Dulux for their superior skills and their commitment to the painting industry. These painters are specially selected based on workmanship and reliability. Dulux Accredited Painters use Dulux premium paints only to achieve quality finishes every time. 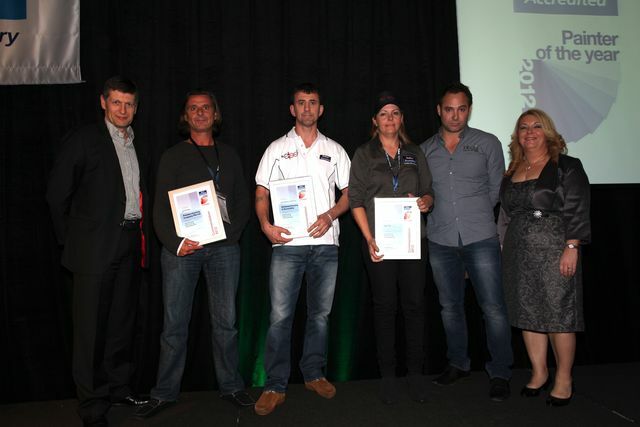 Being recognized and awarded by Dulux gives us a competitive advantage. Trades Monitor is Australia’s leading Contractor Compliance service company, dealing in information services and specialist risk management for companies using painting contractors. We follow all policies and are proud to be registered with Trades Monitor.